Designed for the contemporary setting, this church Bible is ideal for repeated congregational use or to send home with visitors. The CEB church editions feature comfortable-to-read black-letter text, translation footnotes, and in-text subject headings. 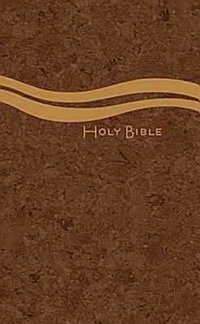 Available in several bindings, including a new take on the ministry standard of pew Bibles: a brown cork look with modern wave design in metallic copper ink.